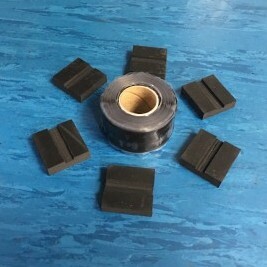 Cam Modification Tape/blocks - Use these only after being shown during RTS Mastery courses. 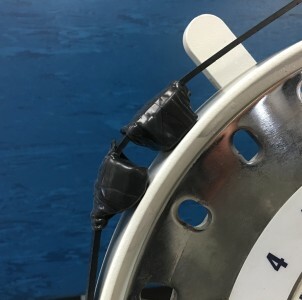 A 10’ roll of silicone tape and six 3/8 inch thick rubber spacers that allow you to explore resistance profile alterations to more closely approximate the associated strength profile. Silicone tape only adheres to itself. 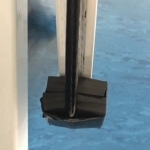 It is not sticky but when stretched and compressed against itself makes a bond allowing you to hold a rubber spacer onto a belt or cable without sticking to the it. This allows you to slide the spacer to the right position to alter the drop off for an individual or as the strength profile changes on the fatigued reps. While these materials and procedures have primarily been utilized on belts the past few years, the spacers have been modified with a groove that can work on some cable machines. Spacers can be glued together for double thickness (super glue), but we warn against stacking more than two, especially on a cable. 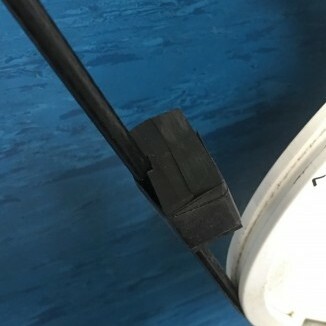 When used on a cable you must confirm that the cable lands back in the groove of the cam after wrapping around the spacer. PRIVATE FACILITIES ONLY: Do not attach these or modify anything that can be utilized by the general public. These are exclusively form private facilities with staff that knows exactly how to use them. LIABILITY NOTE: Altering the structure or function of equipment puts you at increased liability should anything injurious occur. You must know exactly what you are doing. Experiment, test your attempts, and gain experience only on yourself first!! KNOWLEDGE NOTE: Precise use of all RTS Exercise Tools is not as obvious as it may seem. They are not recommended for use by trainers that have not attended RTS courses that include detailed execution, progression, and cuing of/on the specific device!